Here at Earth Networks, we strive to provide the best weather solutions to our customers worldwide. To accomplish this goal, we’re constantly updating our tools so that they are more useful in helping governments, businesses, and other organizations mitigate financial, operational, and human risk. 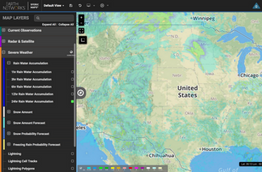 Our recent updates to Sferic Maps reflect these goals and we’re excited to share what’s new with our innovative weather visualization tool. Keep reading to find out what’s new and how it’ll increase your overall weather intelligence. 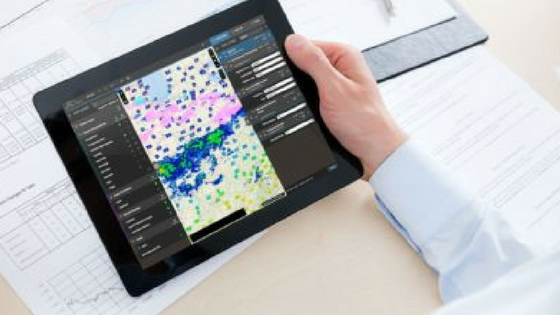 The best way to keep up with updates to Sferic Maps is to sign up for our monthly update webinars. You can find the registration pages on our Events and Webinars webpage or sign up here. The first change in this update is in the Views section. After consulting with users, we found that the Last Area Shown functionality wasn’t operating in a clear manner. Now, the system will always show the correct area for View 1 after you navigate away to a different View. The second area of change is the new U.S. Boundary Layers. 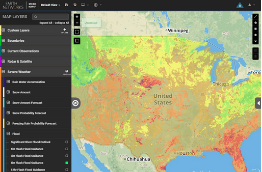 Now, you can select U.S. State and County borders with any Map Base Layer so you can always see the boundaries that matter to you most. You can find these new layers in the Map Layers section under Boundaries. Another great thing about these new layers is that you can change the line color and width so that they are easier to see and differentiate, no matter what Base Layer you’re using. Colors include black, grey, blue, green, red, yellow, brown, and purple. We implemented the last area of updates in Custom Layers. This is probably the most exciting updates for those of you who upload your own custom layers to Sferic Maps. You can customize your Map Views with Custom Layers entered in the Map Layers section of Sferic Maps. Now, this functionality has three big improvements, including New upload limits, faster rendering, and editor changes. These changes are going to get a little technical, but bear with us! It’s important to note that all existing Custom Layers are not affected by this maximum file size change. The second change, faster rendering, changes the way the GeoJSON renders on the maps resulting in a faster load of your Custom Layer(s). This also enables smoother navigation when the Custom Layer is visible on the map. Finally, let’s talk about editor changes. With this new update, you can also customize these layers by modifying basic style properties like line width, color, and opacity. We’ve also made improvements to editing the GeoJSON which will result in less frustration on your part. 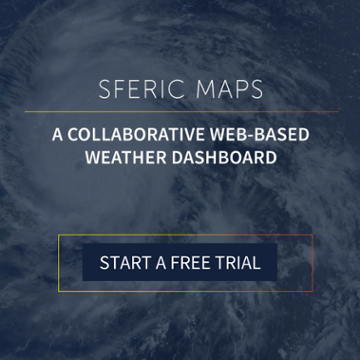 What do you think about our latest updates to Sferic Maps? Please let us know your feedback in the comments section below. If you haven’t been on Sferic Maps since the update, log on! Hurricane Season is right around the corner and severe summer-like weather is already starting to pop up around the country. Make sure you’re in the know! Have you never used Sferic Maps before? Give it a try today with a free trial. 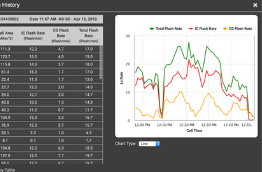 Click the link below to get started visualizing the weather conditions in the areas that matter most to you and your organization. 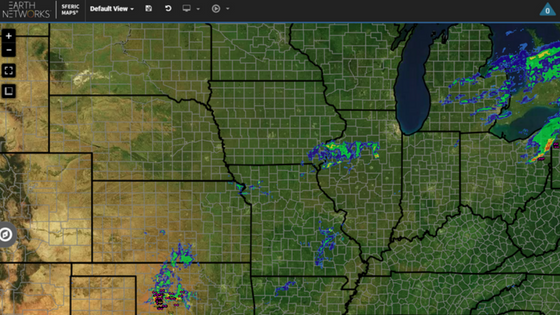 The best weather map is only getting better.